These artistic bronze pendant sea life necklace models are available in silver and pewter as well. Why bronze? Well, let's begin with the color. Bronze is an alloy made from mixing copper, tin and sometimes a little lead or other metals in unspecified proportions producing a variety of russet shades. Available lengths: 16", 18", 20"
In the Bronze age, the first uses for bronze were military items such as arrow and spear heads. Bronze jewelry was one of the other uses of bronze explored and it was popular. 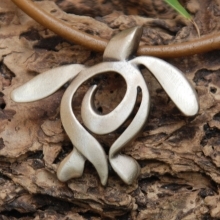 Today, bronze as a jewelry medium is rarely delved into and because of that, a bronze pendant necklace such as this sea turtle necklace really makes a unique statement. 16", 18" or 20" sea life necklace with 3mm thick light brown leather cord. solid bronze pendant coated in clear acrylic to prevent tarnishing.  solid brass clasp in matching bronze finish. Designed both as men's sea turtle necklace and as women's sea turtle necklace, this unique, artistic sea turtle is also available as a Sterling Silver Sea Turtle Pendant, Pewter Sea Turtle Necklace and Brass Plated Sea Turtle Necklace. Bronze jewelry has been worn and loved for thousands of years. The Greeks, Romans and Vikings are examples of such civilizations. 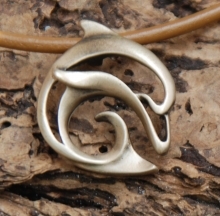 It is really interesting that the design of this dolphin pendant is based on modern art and expressed in an ancient medium. 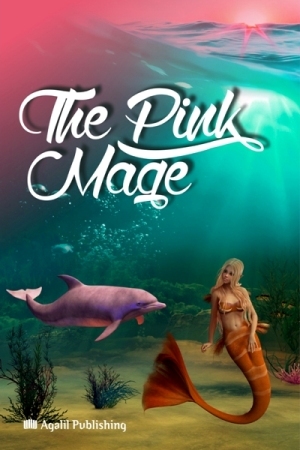 Designed both as men's dolphin necklace and as women's dolphin necklace, this modern art dolphin is also available as a Sterling Silver Dolphin Pendant and Pewter Dolphin Necklace. Available lengths: 16", 18", 22"
In ancient times, bronze jewelry was fancied because bronze could be polished to look nearly as beautiful as gold. However, a gold substitute is not what we have in mind here. Bronze is gorgeous and full of character, not an alternate... something. The same can be said of this bronze octopus - full of character and attitude. 16", 18" or 22" sea life necklace with 3mm thick light brown leather cord. 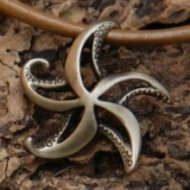 Designed both as men's octopus necklace and as women's octopus necklace, this octopus with character and attitude is also available as a Sterling Silver Octopus Pendant and Pewter Octopus Necklace. Some wear their wealth (gold and expensive stones) to impress others. Some wear their style to make an impression on others. 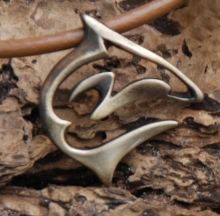 This bronze pendant shark necklace has style written all over it and it spells B-O-L-D. Designed both as men's shark necklace and as women's shark necklace, this bold and stylish shark is also available as a Sterling Silver Shark Pendant, Pewter Shark Necklace and Brass Plated Shark Necklace. The material and color of the bronze seahorse pendant, 3mm thick light brown leather cord and brass clasp are selected and combined to express warmth and earthiness to great effect. If this is one of your styles... well, well. Designed both as men's seahorse necklace and as women's seahorse necklace, this warm and earthy seahorse is also available as a Sterling Silver Seahorse Pendant, Pewter Seahorse Necklace and Brass Plated Seahorse Necklace. From a jewelry maker's point of view, bronze is a terrific material as it is soft enough to work with easily but hard enough to make jewelry that lasts a lifetime. As long as you'll like to wear them, these bronze sea life necklaces will not let you down. Designed both as a Stingray necklace for men and as Stingray necklace for women, you'll be asked no end what you're wearing so what does this design say to you? If you want more yellow, go for brass. If you want more red, go for copper. 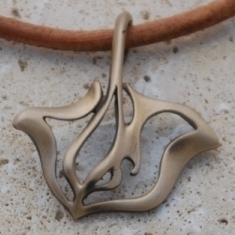 Or do you see this bronze starfish pendant as just right - not too yellow, not too red? 16", 18" or 22 sea life necklace with 3mm thick light brown leather cord. Designed both as men's starfish necklace and as women's starfish necklace, this beautiful starfish is also available as a Sterling Silver Starfish Pendant and Pewter Starfish Necklace. 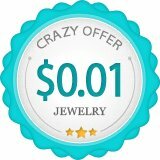 If you would like to look at more necklaces about the sea and sea life, click Sterling Silver Sea Life Necklaces to look at the bulk of what we have.